KALININGRAD – In the face of harsh environmental criticism from the human rights sector, Russian President Dmitry Medvedyev has recalled a series of amendments to laws on treason and espionage from the Duma that were proposed by his government for further development. The amendments proposed in December were said by human rights activists to be open to such wide interpretation that any critique of the government could be read, in the case of the amendments’ adoption, as treason or espionage, creating a closed and cloistered return to the Stalinist past. 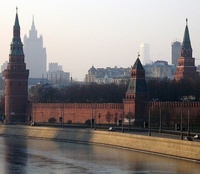 Human rights activist have applauded Medvedyev’s move to punt the proposed legislation back to the Duma for revisions. The bill, formally called “On the introduction of changes to the Criminal Code of the Russian Federation and article 151 of the Russian Procedural Code (state secrecy, treason and espionage) was passed to the Duma by the government for review in December. However, the Duma Committee’s discussion of the proposed legislation slated for December 13th did not take place. News agencies reported on January 27th that Medvedyev has stepped in on the legislative process, and charged his administration with modifying them. “The head of the government is attentively taken into consideration to the opinions that have been expressed on this matter in the media and society as a whole,” deputy chief of Medvedyev’s administration, Vladislav Surkov said, according to news reports. “The information came as a pleasant surprise,” the Memorial Human Rights group said in a statement. “It seems that our country has managed to maintain some elements of an inverse relationship between the government and the people, although rights relationships between the executive and legislative branches of the government in these circumstances remain unclear,” the statement read. “It seems there are the outlines of a some kind of standoff between Medvedyev and Putin. The amendments were given (to the Duma) by the government, meaing they were signed by Putin,” said Nataliya Evdokimova, chief secretary of the Human Rights Council of St. Petersburg, in an interview with Bellona Web. Surkov admitted that, “there is a risk of an expansive interpretation of the understanding of government secrecy, treason and espionage,” the Russian new agency Interfax reported. It is precisely this expansion of legal understanding that has raised the ire of the amendments’ opponents. They say that a new version of the law would allow for interpretations that view cooperation with foreign and international organisations as espionage, and any opposition criticism of the government as treason. But for their warm welcome of the Medvedyev government recalling the amendments for a second look, human rights groups maintain a level of sceptisism. This is based largely on that fact that immediately prior to submitting the proposed amendments to the criminal code, a law “On the introduction of amendments to specific legislative s acts of the Russian Federation on issues of counter-terrorism,” which anticipates abolishing a judge’s prerogative to have jury trials for those accused of crimes against the state – a page from the former administration of George Bush. The Russian Constitution as rewritten after the fall of the Soviet Union was praise for its inclusion of jury trails, but 17 years on, only some 11 percent of cases that involve serious charges are tried in front of a jury, according to Dale Roy Herspring, author of “Putin’s Russia” a thorough review of Russia’s judicial process. Neither requests to Medvedyev to abolish the legislation by the Conference of Human Rights Organisations – which was convened last year to mark the 60th anniversary of the adoption of the Universal Declaration of Human Rights – nor the negative conclusions of the government Public Chamber had any influence. Aside from slashing jury trials for those convicted of crimes against the state, the amendment also included section concerning participating in mass disturbances, which has nothing to do with terrorism. Lyudmila Alekseyeva, chair of Moscow’s Helsinki Group, suggested that this section of the law was accepted with the rest as a prophylactic measure against growing nation-wide social unrest against the government – the most recent of which was a 10,000 strong national anti-Putin protest on Saturday – over Russia’s deepening economic crisis. “This is a disparagement of citizens’ rights to a fair trial and the heavy blow to the hopes of revitalising our judicial authorities, and a conquest of citizens’ trust,” Alekseyeva said at a January 23rd roundtable discussion at the Russian Justice Ministry. According to Alekseyeva, who leads Russia’s oldest human rights group, rehabilitating Russia’s ailing judicial system – which was a campaign promise of Medvedyev – hinges on expanding the direct participation of citizens in influencing the direction of the judiciary, first and foremost through jury trials. Imposing limits on jury trials, which human rights officials view as an alarm bell to Russian society, makes Medvedyev’s step to review the controversial amendment on treason and espionage look a little like a planned spectacle directed at maintaining the decorative democratic of authority. It is therefore anyone’s guess what this initially hopeful gesture will lead to.